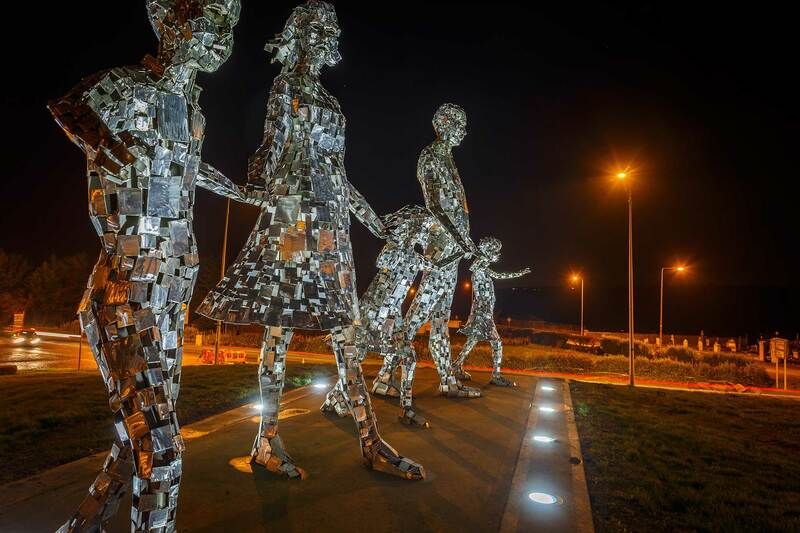 Situated in Duleek Village Co Meath, this remarkable piece of roadside art was created by Irish artist Maurice Harron. 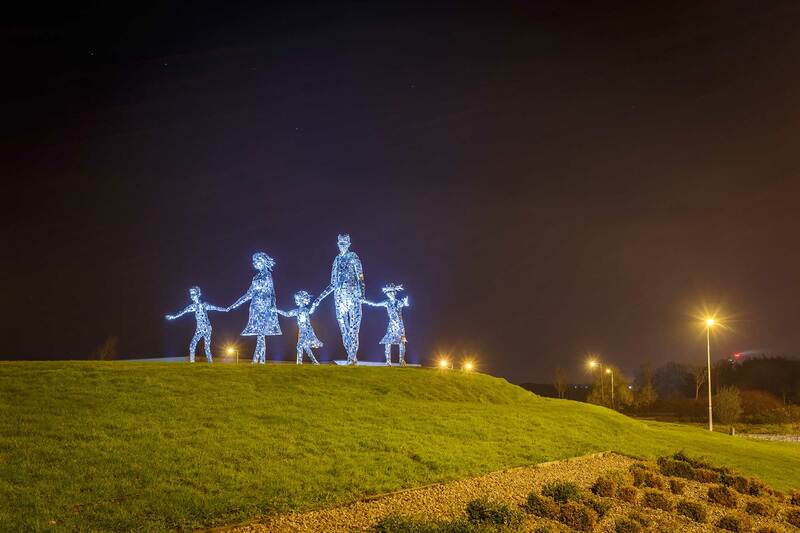 This 4.5 metre-high sculpture features a family of two parents and three children, happily walking hand in hand in a green meadow. “The Family” is a group of five stainless steel figures built according to a technique very familiar to the artist. 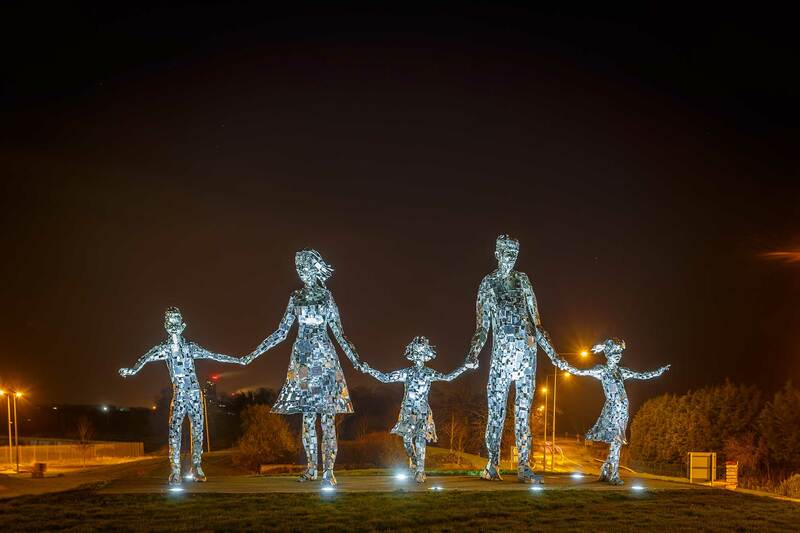 Consisting of hundreds of rectangular and square pieces of stainless steel, assembled irregularly, “The Family” glitters and shimmers in the sunlight and now even at night, thanks to a dedicated LED lighting system embedded around the basement of the artwork. 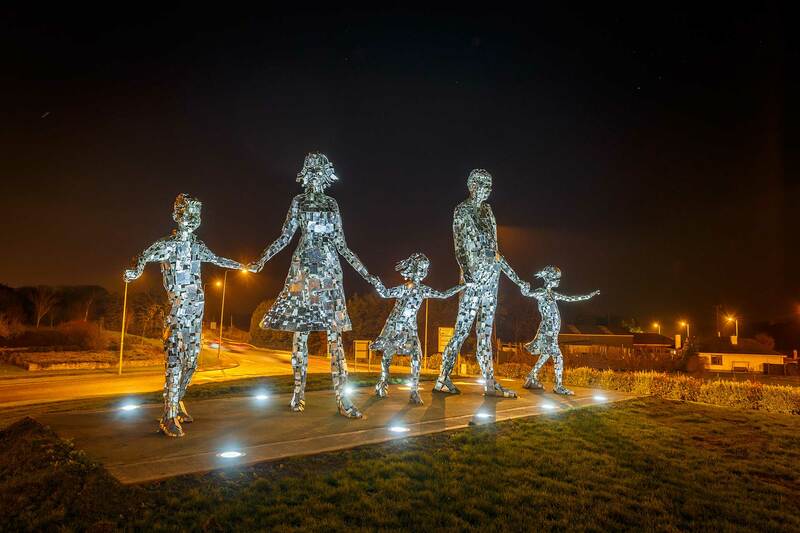 Warmly welcomed by the population, this eye-catching piece of art, erected on the mound at the entrance of Duleek village and funded by money donated by Indaver Ireland, now looks even more spectacular. The lighting was installed and commissioned by Al Read Electrical and designed by Enlighten in co-operation with Griven’s design department. Inserted in a specifically developed cement board located in front of and behind the statues, a series of DUNE MK2 in cold white colour configuration with wide optics, deliver a well distributed cool shade to the five figures. Now, they stand out magnificently in the dark, shining in a pleasant contrast with the warm street lighting of the precinct. DUNE MK2 W is a super compact white LEDs fixture, engineered for exterior recessed applications.  Fitted with the highest precision technology, the 20 LEDs utilized have been coupled with the most effective optics to give an extremely homogeneous white light output. The unit can be customized with a wide choice of lenses to suit additional requirements of alternative beam creations, always preserving the highest luminous efficacy. DUNE W MK2 is available in both cold and warm colour temperature white light versions to meet any design specification. Featuring an IP67 weather protection rating and a 2000 kg deadweight load capacity, DUNE W MK2 is suitable for ground mounting applications even in vehicled areas.